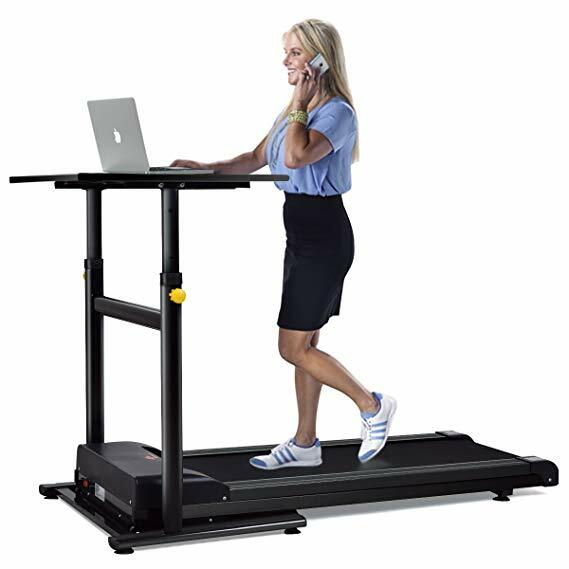 If you lead a sedentary life sitting on your office chair for more than 8 hours a day and don’t move around a lot and also don’t have the time to exercise, then a treadmill desk could be a fantastic buy for you. Treadmill desks allow you to add movement while working at your desk. A treadmill desk has an under-desk treadmill, which allows you to work on your computer while walking simultaneously. Treadmill desks usually comprise 2 parts – a desk whose height can be adjusted and an under-desk treadmill. Treadmill desks are an excellent way by which you can reduce your sedentary time while working at your office desk and at the same time, help to increase attention, focus and productivity while you work. Treadmill desks are designed in such a way that you can walk at slow speeds (not more than 2 to 4 MPH) for very long periods of time and these are not meant to run at high speeds. They are a great way to get into shape as you work and is one of the easiest ways to lose weight by reducing your sitting time, as sitting is one of the major reasons for weight gain and also the cause of several other related ailments such as heart disease, obesity, type-2 diabetes, cancers, etc. Treadmill desks allow you to burn more calories than when you are just standing. The LifeSpan TR1200-DT5 is a silent working treadmill desk that is a combination of an under-desk treadmill along with a standing desk, whose height can be adjusted manually. The treadmill features a 2.25 HP motor and is equipped with 6 compression shocks to absorb any impacts, which also contributes to the quiet working of the treadmill so that you can work out at your desk without disturbing the people around you. The high-quality construction of the treadmill desk and the high-quality components prevent any mechanical vibrations or noise. The LifeSpan TR1200-DT5 features a 38” x 29” desktop that provides sufficient working area and also gives you room to store all your office suppose comfortably. The 5-digit console of the treadmill desk is integrated into the armrest and allows you to control all your activities and lets you tailor the treadmill desk according to your specific requirements. The LifeSpan TR1200-DT5 also has Bluetooth capability, which lets you sync your activity data to your Android or iOS phone via the LifeSpan Active Trac app that allows you to track your progress over time. The 0.4-4 MPH speeds of the treadmill desk allow you to work at a pace that you find comfortable. The Intelli-Step technology keeps track of your daily foot count and the Intelli-Guard feature ensures your safety by allowing the treadmill to operate only when you are walking on it actively. The space-saving dimensions of the LifeSpan TR1200-DT5 and the 2 front-mounted wheels make it extremely easy to assemble and move the treadmill desk wherever you want. Comes with a lifetime warranty for the frame, 3-year warranty for the motor, 2-year warranty for the parts and 1-year warranty for labor. Very easy to assemble and adjust the height manually. High-quality construction which makes it durable and long-lasting. LifeSpan Active Trac app allows you to sync your workout data to iOS or Android phone to keep track of your progress over time. Intelli-Step technology detects every footstep and keeps track of your day-to-day step count. If you use the emergency stop, the mileage is reset. Does not have the feature to track your continuous progress. If you pause, the treadmill does not remember your speed. You can buy the LifeSpan TR1200-DT5 Treadmill Desk conveniently on Amazon. Are you too busy to work out daily? Then surely, the NordicTrack desk treadmill is a great investment that lets you exercise while you work. 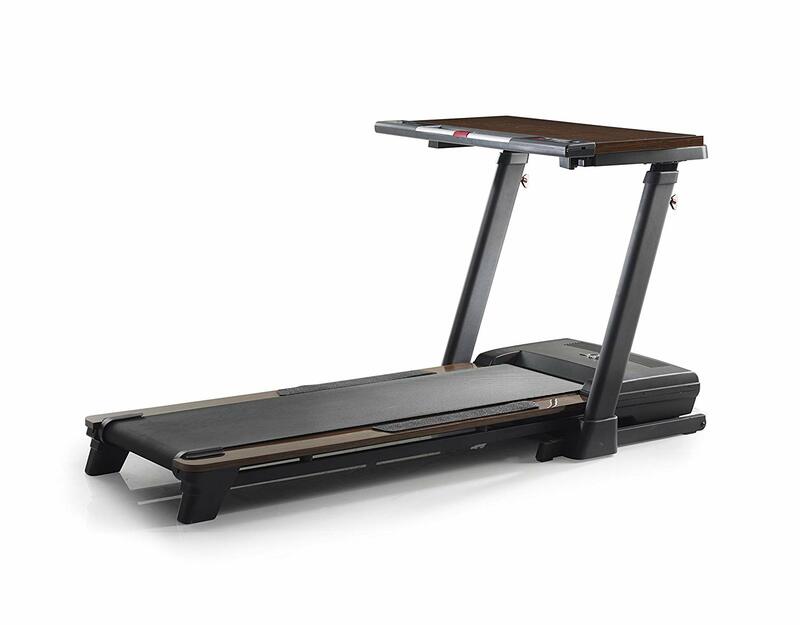 The NordicTrack desk treadmill has a 40” x 18” desktop surface that features an attractive laminate of mahogany wood grain, which is sure to add to the aesthetic of your office. The height of the desk can be adjusted according to your requirement. The desk treadmill features the iFit training technology that offers specially designed workouts and the integrated console located at the right bottom corner allows you to adjust your speed and also track each workout, distance covered, calories burned, etc. The NordicTrack desk treadmill has a handy in-built charging station to charge your phone or tablet as you walk. 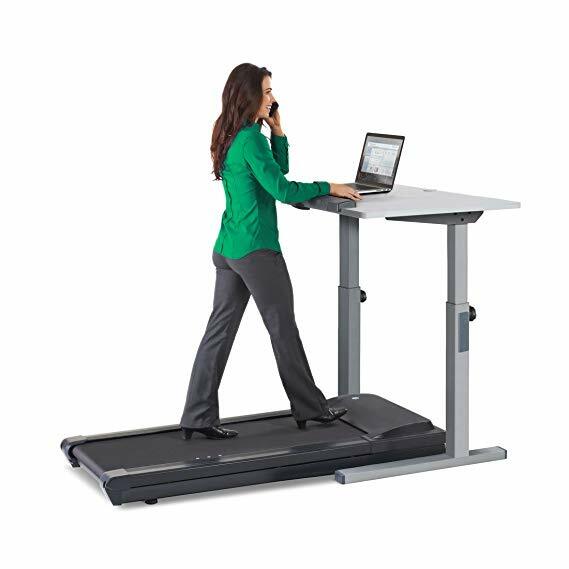 The treadmill desk has a unique ReflexDeck cushioning that “reflexes” when you step down and propels you forward. This makes the treadmill easier on your joints and also reduces post-workout fatigue. Thanks to the treadmill desk’s space saver design, when not in use, you can simply store it away. Features an attractive cherry laminate. Can be folded vertically to save space. Ergonomic desktop and spacious workspace. The track stays straight and cannot be set at an incline. Desk needs to be swivelled to one side if you want to fold the treadmill. Maximum speed is 6 MPH. You can buy the NordicTrack Desk Treadmill conveniently on Amazon and it will be delivered to your doorstep. The Goplus Treadmill Desk is a great combination of a standing desk and a treadmill that gives you all you require to exercise during your workday. The treadmill desk has a 31.5″ x 23.5″ work surface that gives you ample space to work while exercising and also put your office supplies. The desk has 5 adjustment levels and can be adjusted from 39” to 46”, which allows you to find the best position according to your height. The treadmill console is located on the armrest that allows you to have sufficient space and the LED display screen also lets you get feedback on your activity and lets you track the distance walked, time spent, number of calories burned, speed, mode, etc. This helps you to keep track of your performance and also monitor your workout progress. The treadmill is very silent when in operation, which helps you to work out quietly without disturbing your colleagues. The Goplus Treadmill Desk is sturdy and durable and is made from high-quality steel. The treadmill capacity is 220 lbs and its speed can be adjusted between 0.4 to 4 MPH. The running belt is quite wide, giving you a comfortable and stable workout experience. Comfortable for both slow and fast walking speed. Assembly and installation are very easy. Helps to burn calories and reduces stress levels and back pain. Fewer features compared to other treadmill desk models. Some users find that the treadmill desk is not very stable. You can buy the Goplus Treadmill Desk easily on Amazon and it will be delivered to your doorstep conveniently. If you spend most of your day working at your desk in the office or at home, then buying a treadmill desk is an excellent investment that can help you lead a healthy and active life. Your treadmill desk will allow you to combine both your work and your workout so that at the end of your working day, you can feel efficient and fit. However, before you actually set out to buy your treadmill desk, it is a good idea to do your homework and research the various models available and consider the various factors such as workspace, comfort, noise, cost, etc. before deciding on the model that is best for you. 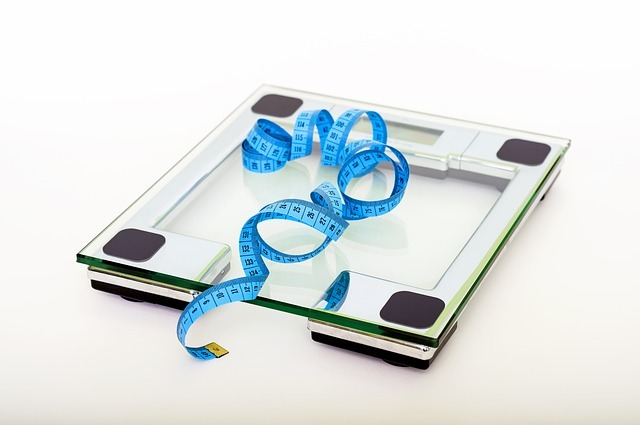 It is also a good idea to evaluate whether an integrated desk treadmill or a standalone model will work for you. Investing in a treadmill desk is sure to energize your work environment and leave you healthier and more productive each day.